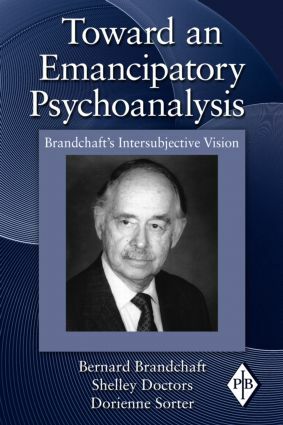 Best known for his contributions to the development of contemporary intersubjectivity theory, Bernard Brandchaft has dedicated a career to the advancement of psychoanalytic theory and practice. Continually searching for a theoretical viewpoint that would satisfactorily explain the clinical phenomena he was encountering, his curiosity eventually led him to the work of Heinz Kohut and the then-emerging school of self psychology. However, seemingly always one step ahead of the crowd, Brandchaft constantly reformulated his ideas about and investigations into the intersubjective nature of human experiences. Many of the chapters in this volume have never before been published. Together, they articulate the evolution of Brandchaft's thinking along the road toward an emancipatory psychoanalysis. Moreover, commentary from Shelley Doctors and Dorienne Sorter – in addition to Bernard Brandchaft himself – examines the clinical implications of the theoretical shifts that he advocated and provides a contemporary context for the case material and conclusions each paper presents. These theoretical shifts, both clear and subtle, are thereby elucidated to form the grand narrative of a truly visionary psychoanalytic thinker. Whose self is it anyway?